Cordlife is amongst the leading players for private cord blood banking services for the past ten years in the country, giving chances and choices to help save lives. Cordlife was founded 2001 in Singapore, and now operates in HongKong, Malaysia, India, Indonesia, China, Thailand, Myanmar, Vietnam and the Philippines. 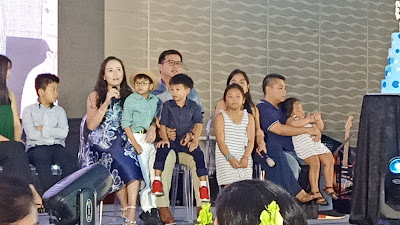 Earlier today at Crowne Plaza, Cordlife invited families to join in the 10-year milestone celebration. Expectant parents back then, they put their trust in caring for their family's health at the time Cordlife set its foothold in Manila. Cordlife blood banking service was first introduced to the Philippine market in April 2009. Since then, Cordlife Philippines has reached a significant milestone of 10 years in the consumer healthcare industry. And the greatest breakthrough in Cordlife's journey began with a decision they made a decade ago---a chance taken and a choice made a decade ago that eventually proved to be right. Their cord blood processing and storage facility in UP AyalaLand Technohub in Quezon City was established in 2010. It has a storage capacity for 30,000 cord blood and cord lining units and is built in accordance to global gold standards to give local families peace of mind. On top of being first and only stem cell bank to be registered with DOH and certified by ISO in the country since 2012, Cordlife also pioneered in earning the prestigious AABB Accreditation in 2017. During the past 10 years, Cordlife Philippines has built a tradition of delivering the highest of quality standards in service and product offerings to every Filipino family. From less than ten, their team of highly talented and dedicated workforce grew to almost a hundred nationwide. To provide families with more treatment options in the future, they launched their cord lining banking service in 2013. 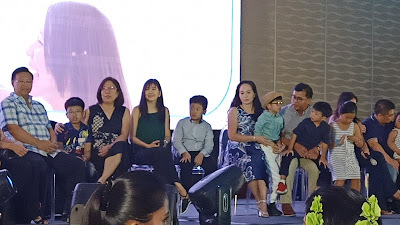 And to ensure that their clients’ health is well taken care of in the most holistic way possible, they introduced Cordlife Care360° Safeguard Program, Cordlife Shield, Cordblood Network, and Cordlife Transplant Care. Now, more and more families are gaining access to cord blood and cord lining banking as the company extends their services in Visayas and Mindanao with the opening of their Cebu and Davao satellite offices. Their prolific years of experience in umbilical cord blood banking pushed them further to offer more quality services. Hence, the introduction of their umbrella brand, Genscreen®. With Genscreen®, they launched genetic screening services such as: NICE and Prevue Non-Invasive Prenatal Tests and PlumCare DNA Advisor, the first and only family genetic testing in the Philippines. With the power of cord blood stem cells in their care, Cordlife Philippines values great responsibility to their community as well. That is why in 2017, they pioneered a national advocacy called One Blood. The CSR program grants free cord blood banking to qualified pregnant moms with family history of diseases that can be treated by cord blood stem cells. 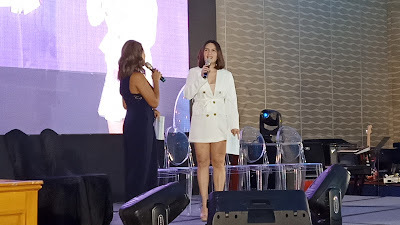 In celebrating the first ever World Cord Blood Day in the country, Cordlife Philippines joined hand-in-hand with healthcare professionals, celebrity brand ambassadors, and Cordlife moms to spread awareness about cord blood and cord blood banking through informative talks and lectures. Their journey in saving lives does not end here. The gift of giving chances and choices in securing precious stem cells will continue as they remain steadfast in providing reliable healthcare solutions and delivering excellence in cord blood banking and more. 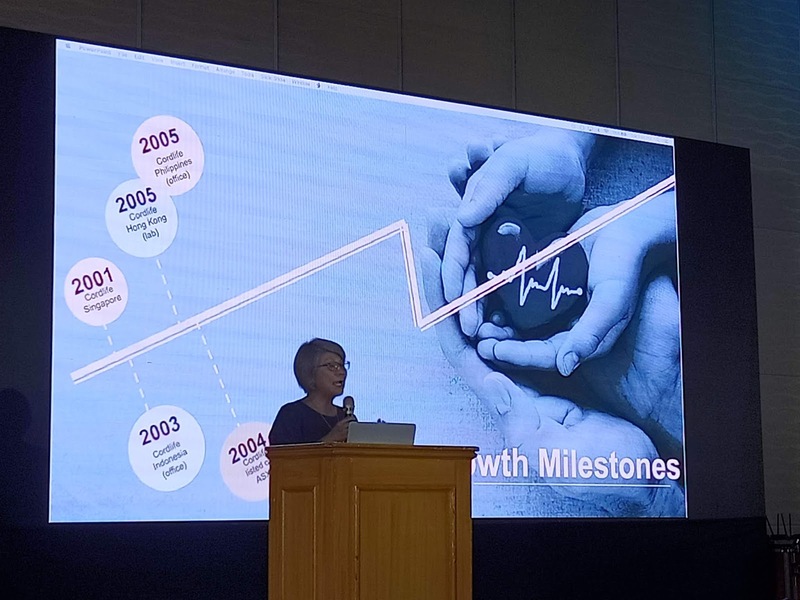 As Cordlife marks it's 10th year, it promises to "provide reliable healthcare solutions through innovation, technological advancement and commitment to quality," according to Ms. Tan Poh Lan, Cordlife Group CEO. They commit to continuously offer quality services with a firm belief that their services may offer life-changing and life-saving therapeutic options for families in the future. After all, Cordlife is really all about celebrating the gift of life! Are you craving for some delicious Singaporean food? Singaporean cuisine offers an interesting mix of flavors, colors and textures, being influenced by Indian, Chinese, Malay, and Indonesian cultures. 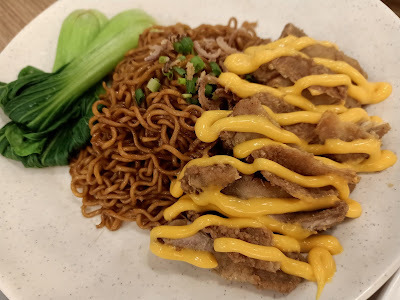 And apart from Michelin Star restaurants, the Lion City is also known as a great place to enjoy hawker food. Now you can get some of these hawker-food favorites in Manila. Sample some of their best-selling chow such as the Hainanese Chicken for a hawker-food experience you will love. 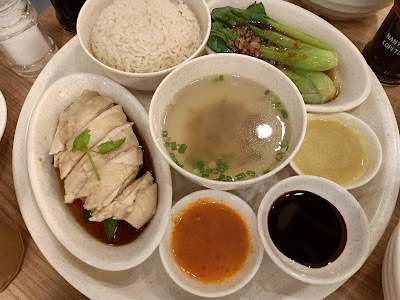 You can satisfy your chicken rice cravings in two ways—classic and fried Hainanese. Enjoy succulent pieces of poached chicken breast paired with flavor-packed rice plus garlicky bokchoy included in the classic Hainanese Chicken Rice (P 268) set. 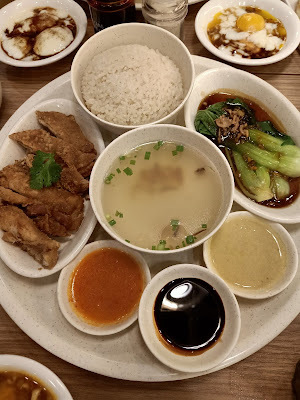 If you want a bit of crunch and depth, order Fried Hainanese Chicken Rice for the same price. Love rice? Try out their take on Nasi Lemak. The rice issoaked in coconut cream which makes it fluffy. 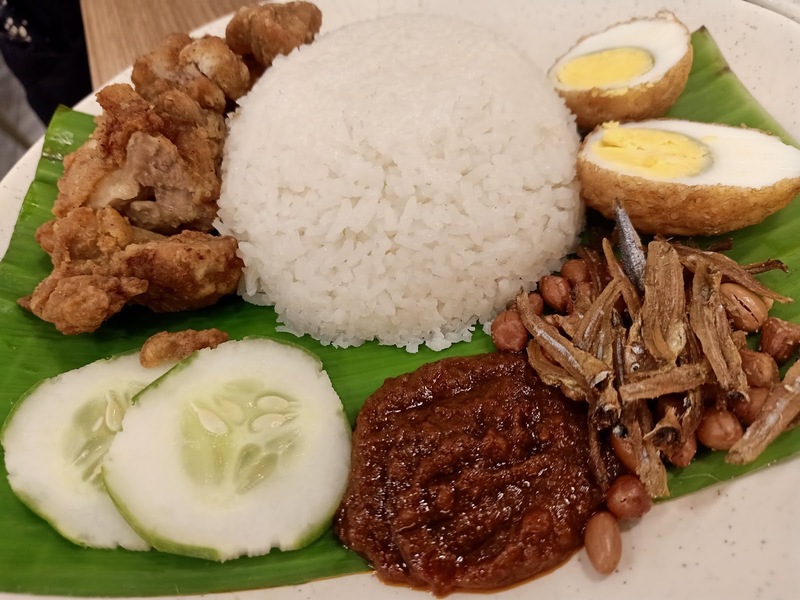 The rice set comes with sliced golden fried chicken, chili paste (sambal), roasted peanuts, egg, and crispy fried anchovies. Cheesy Chicken Chop Noodle (P 238) is stir-fry noodles served with golden crispy chicken slices with nacho cheese. If you’re craving something light, go order their Classic Kaya Toast. Kaya toast is toasted bread filled with butter and coconut jam (kaya). Best eaten with your hands and dipped in perfect soft- boiled eggs with soy sauce, this much-loved breakfast staple goes perfectly with a cup of coffee (kopi) or tea (teh). Also, Nanyang ensures that their Homemade Laksa (P 238) will be your next favorite chow. Laksa is symphony of creamy coconut milk-based broth, rice noodles, and perfectly-cooked shrimp. This hot noodle soup brims with layers of flavor and spices. 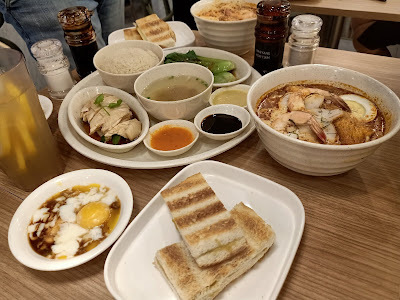 If you’re looking for no-fail Singaporean food, get them from Nanyang. All dishes were spectacular and I'd say one for the books! I will definitely be back with the whole brood. 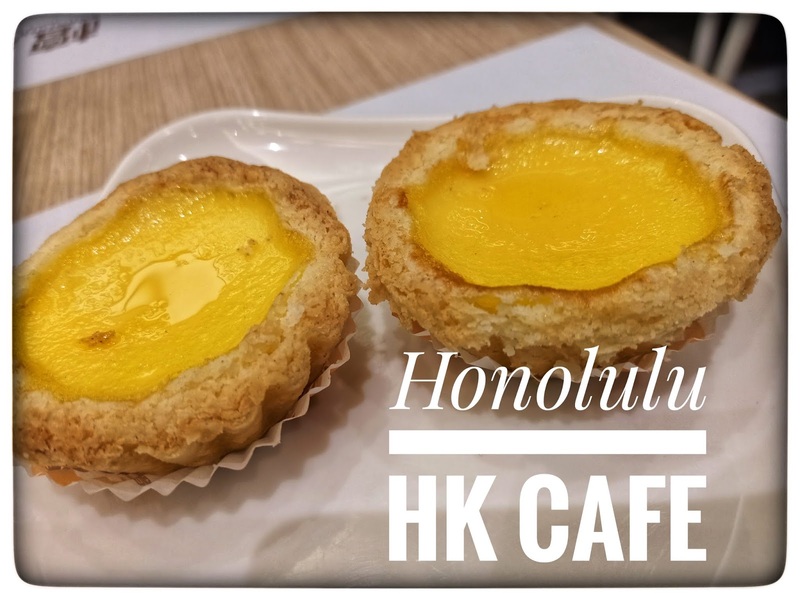 Honolulu HK Cafe is a straightforward cafe that serves coffee or tea with good food. Established in 1940, it pioneered the tea restaurant culture in HongKong, serving light refreshments and comfort food. 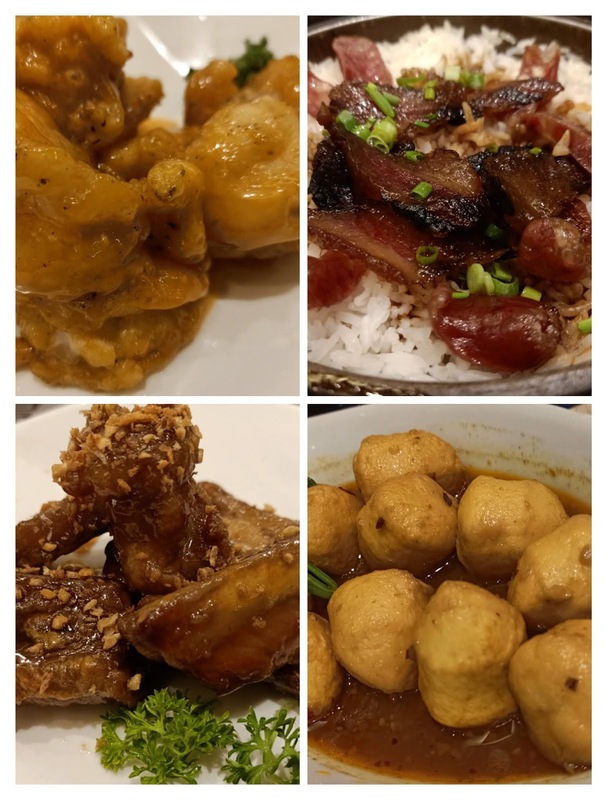 Now, Filipinos can have an authentic taste of Hong Kong cuisine without leaving metro. I joined in a food tasting event recently and and got a bite of Honolulu HK Cafe's famous egg tarts (P 50 each). The Egg Tart is rich and creamy, yet light on sweetness. The other delicacy I love from their baked items, is the Crusty BBQ Pork Bun (P 60). Its soft bun bread dough comes stuffed with a savory, salty-sweet pork filling. These treats are great for afternoon tea time, all for a good reason! And these offerings seem to keep people coming back for more, making half of the main pull at the cafe. The other half are their comforting meals that are perfect for breakfast, lunch, and dinner. 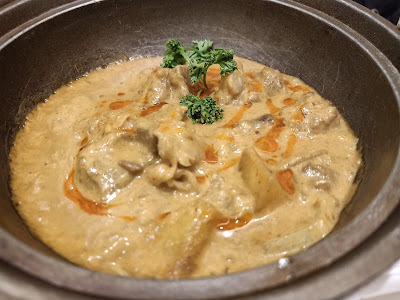 The Curry Fish balls has a mild spiciness to it that makes it satisfying. 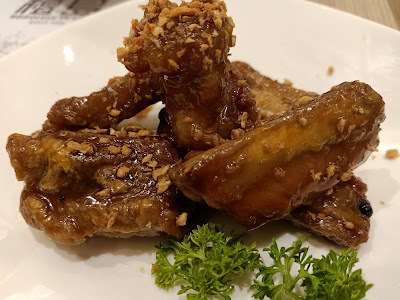 Deep Fried Prawn with Thousand Island (Php 488) is delicious! Battered prawns are fried to perfection! These crowd-pleasing delicacy has a sweet drizzle over it. The meat remains soft and moist under its crispy cover. Stir-Fried Hong Kong Style Noodle with Pork Chop in XO Sauce (P 268) is something you should not pass up on. 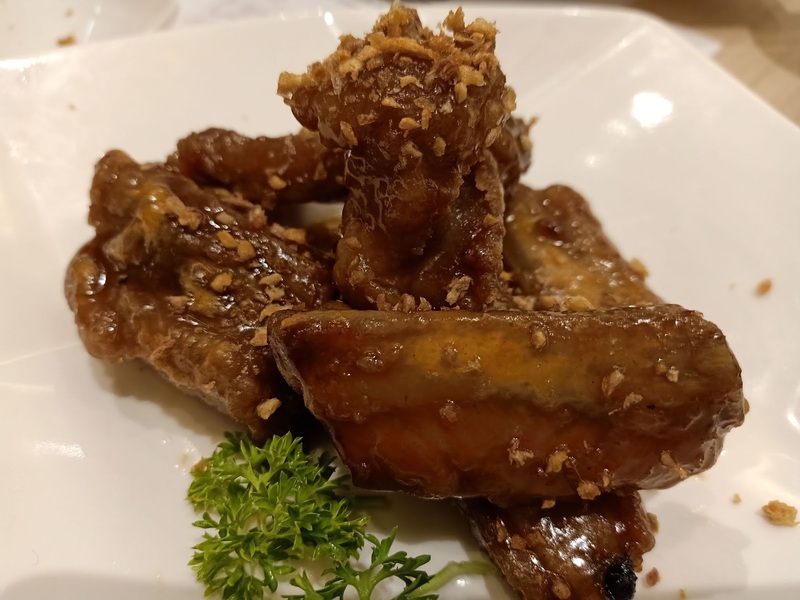 XO sauce is a versatile sauce that comes from Hong Kong. This spicy seafood condiment is often added to bring flavor to noodles or fried rice. 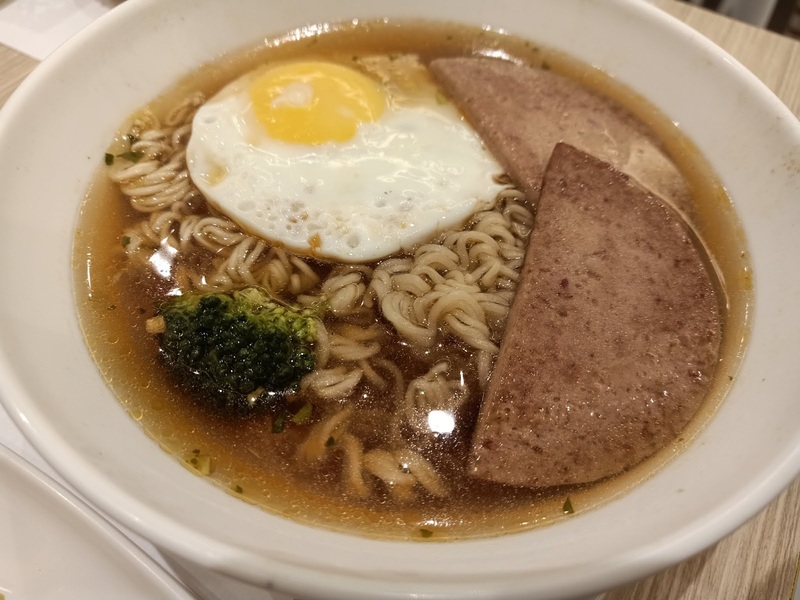 A standard offering in almost all eateries in HK, the cafe's take on Hong Kong Style Noodle Soup with Fried Egg (P 198) has thin noodles in a light, mildly-spiced soup, topped with a fried egg plus two slices slices of luncheon meat. Honolulu HK Cafe's Steamed Rice in Casserole is guaranteed to satisfy anyone's craving for rice bowls. 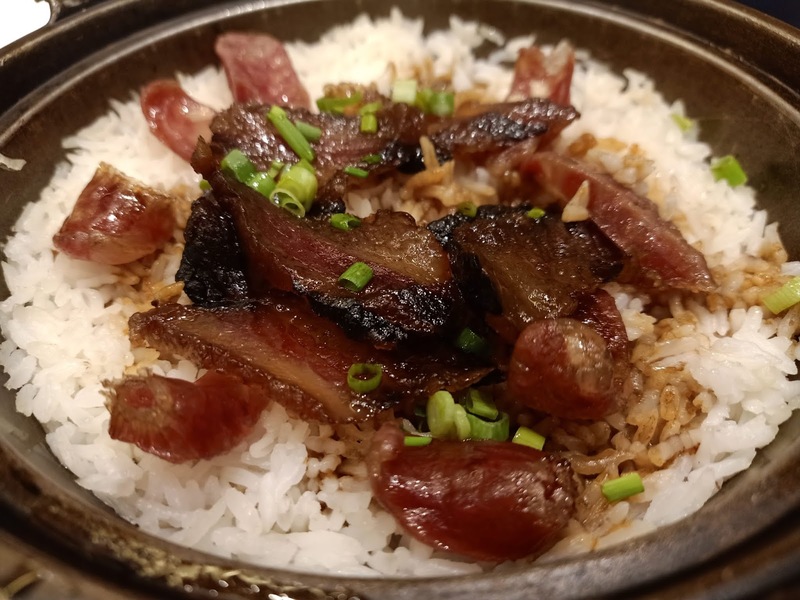 The hefty serving of Steamed Rice with Chinese Sausage and Wind-Dried Meat in Casserole (P 198) can be shared by 2-3 individuals. 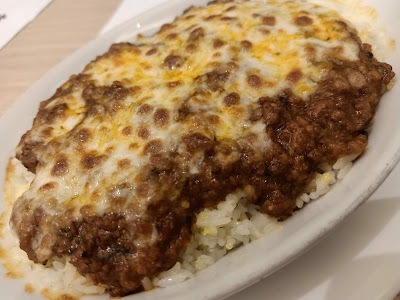 The Baked Rice with Minced Beef Bolognaise (P 298) is another must try at Honolulu HK Cafe. You can enjoy the same rich sauce in sphagetti form. 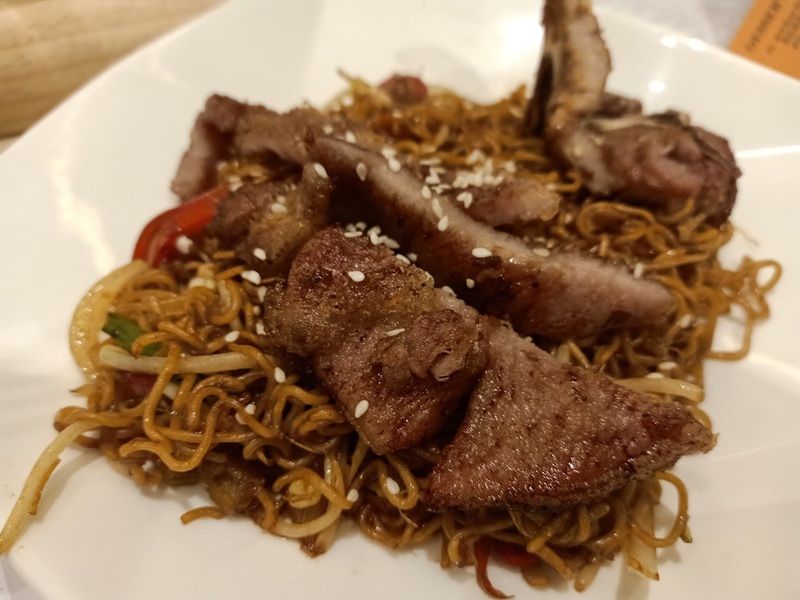 While the basic bowl of sphagetti mixed in rich tomato sauce gets the job done, it is the premium cuts of porkchop that really seal the deal here. HongKong's long-established Honolulu HK Cafe serves wonderful dishes. 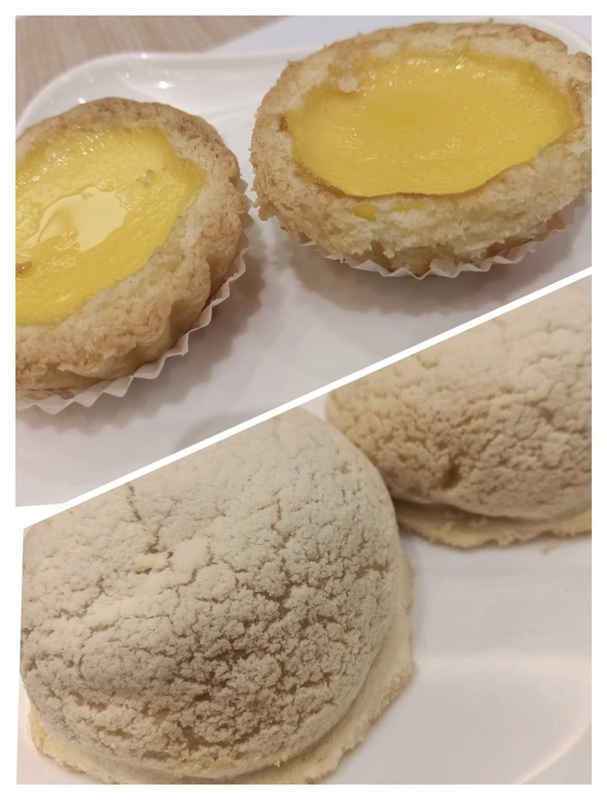 You will find a good selection of bread and satisfying meals under one roof at Honolulu HK Cafe. Go visit them soon.